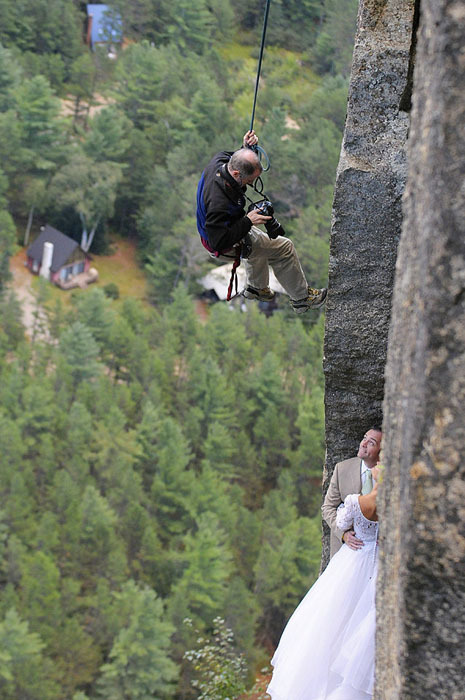 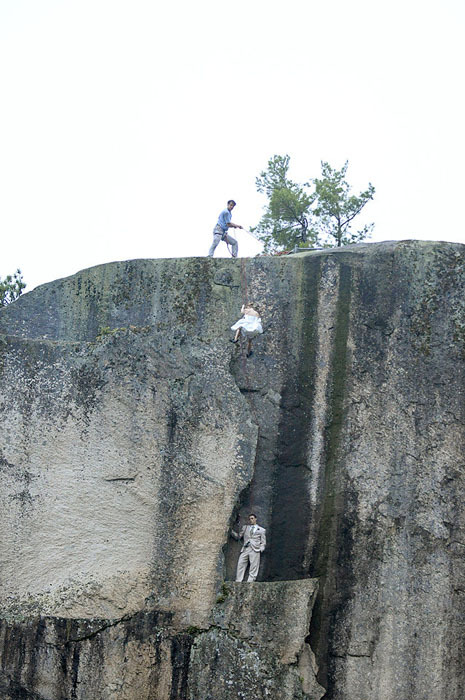 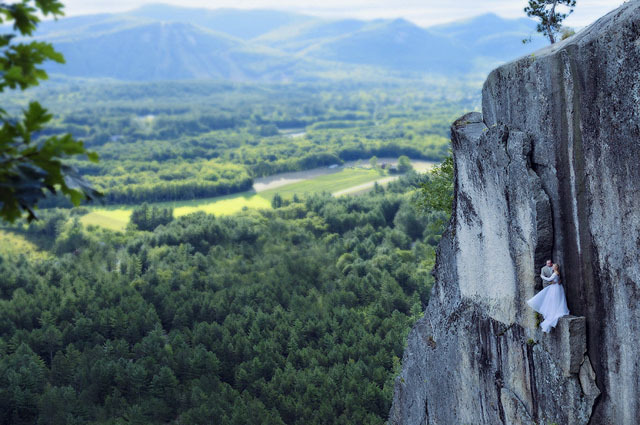 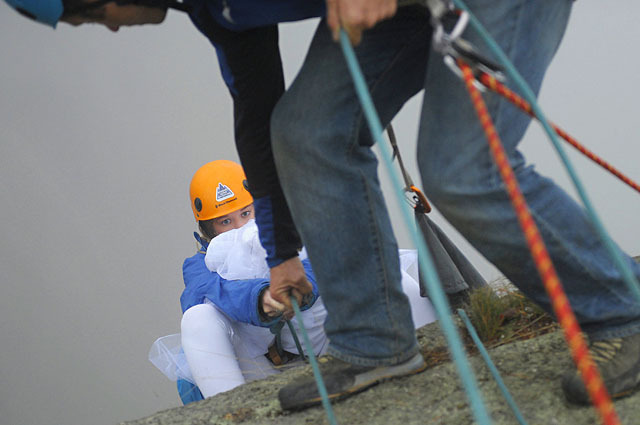 As you may have already guessed, taking a wedding photo like the one above takes hours of hard work… The preparation process includes getting to the extreme setting (a 350-foot cliff with breathtaking views), dealing with special climbing equipment, and, obviously, overcoming your fear of heights! 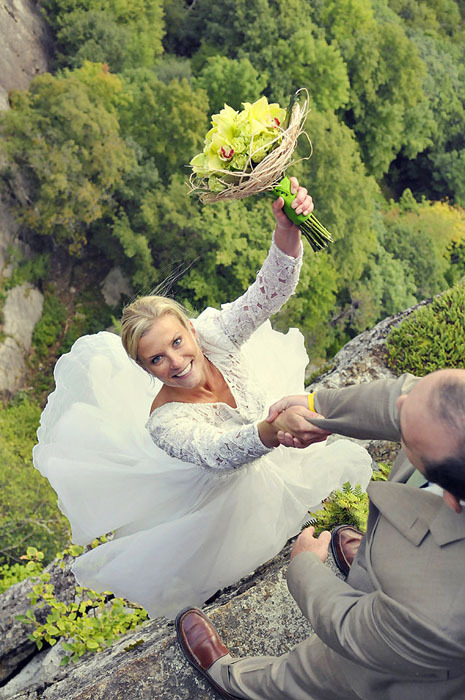 There is a whole team that helps you during the extreme wedding photo session – except for the photographers (Jay and his wife Vicki), there’s a mountain guide and a third photographer in charge of capturing different angles and behind-the-scenes shots. 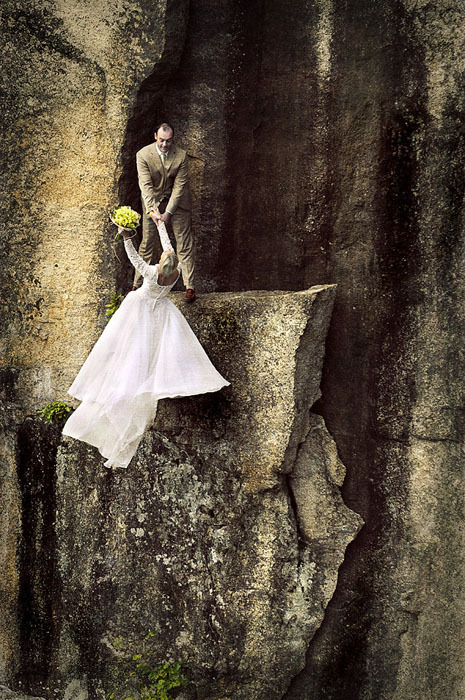 The final results, however, are totally worth all the efforts!